1 additional collar for the Edge remote dog training system from Dogtra. Interchangeable Rheostat intensity dial or Selector Step dial stimulation. Stimulation types in Nick, Constant, and a non-stimulating Pager vibration mode. 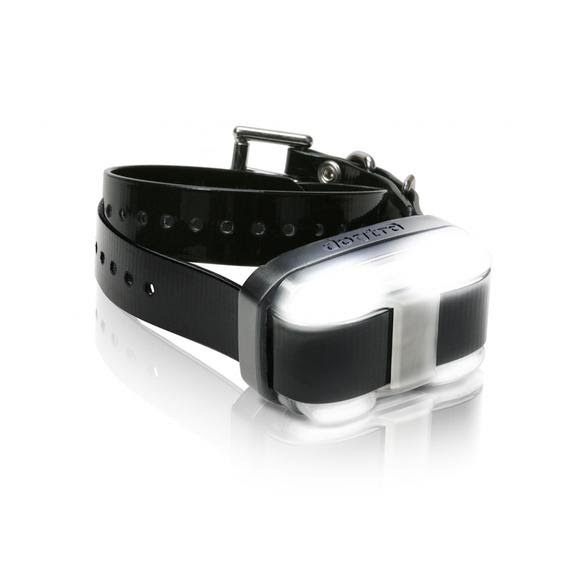 Built in high intensity LED lights on the receiver/collar. 2-hour rapid charge Lithium Polymer batteries. Interchangeable contact points for a variety of coat lengths.